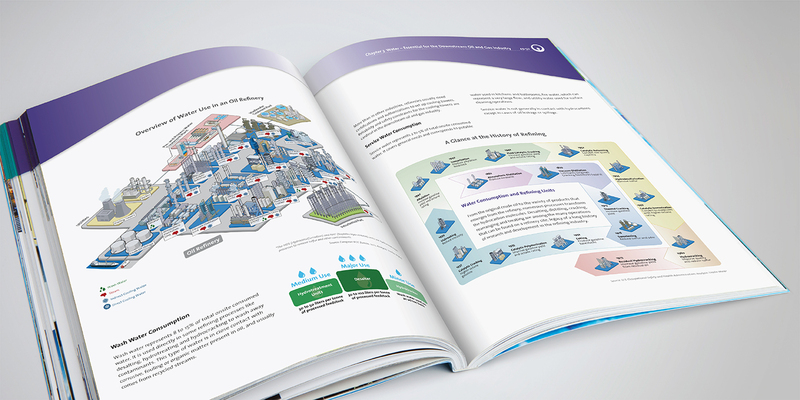 Producing 3 marketing booklets for a leading global waste and water management company. 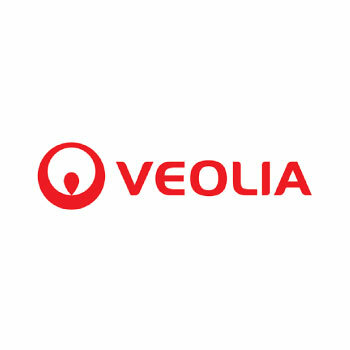 Veolia group is a global conglomerate based in Europe which specializes in optimized resource management, designing and providing water, waste and energy management solutions to industrial users around the world. 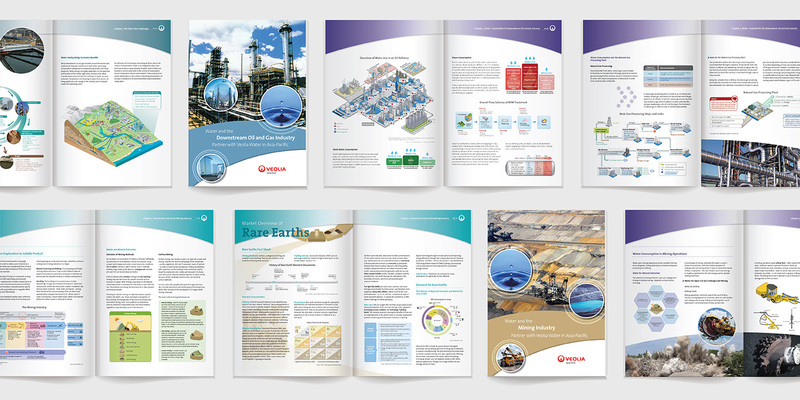 Veolia commissioned Base Creative to develop three illustrated marketing booklets targeted at different industrial sectors. 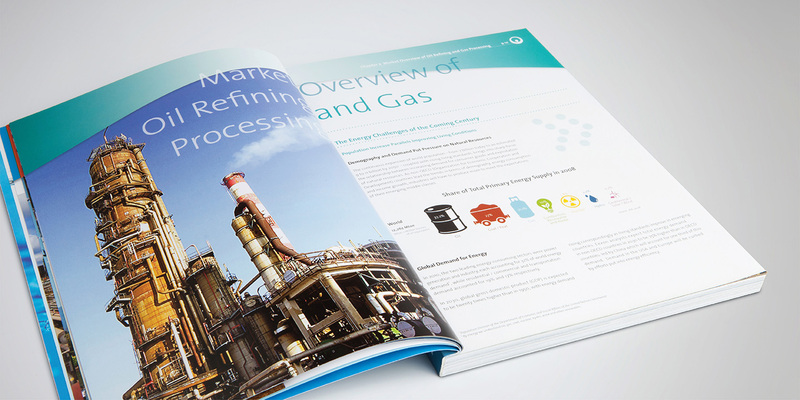 Each booklet was treated as a separate project. 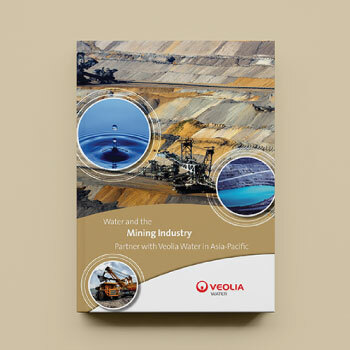 Each booklet focuses on the needs of a different industry – Downstream Oil and Gas, Mining, and Chemical Processing – first outlining the water and waste management needs of its main processes, and then describing Veolia’s associated services. 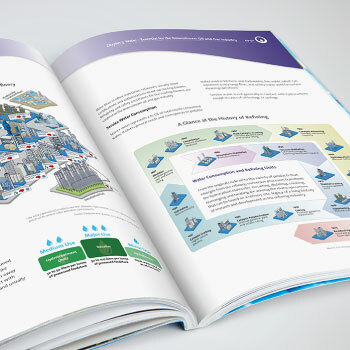 Their size and technical complexity made each project both intellectually demanding and time-consuming, taking close to a year for each booklet. 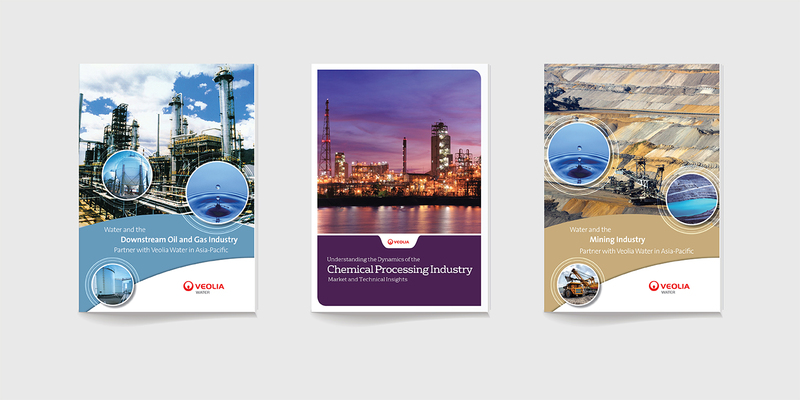 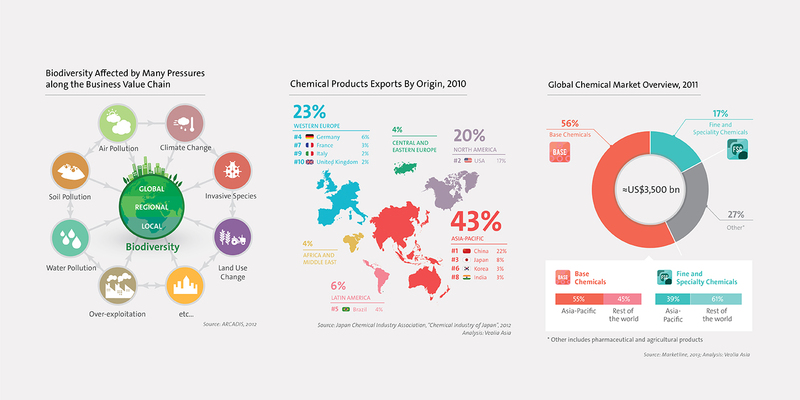 For many topics in the booklets, Veolia provided only rough drafts or links to relevant information sources. 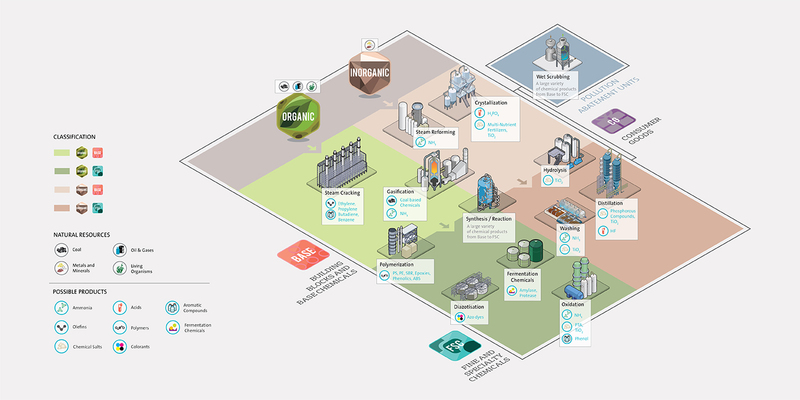 From these, we had to conduct research online to identify the key messages and work out how to express them in the text and to depict complex processes in graphic form. 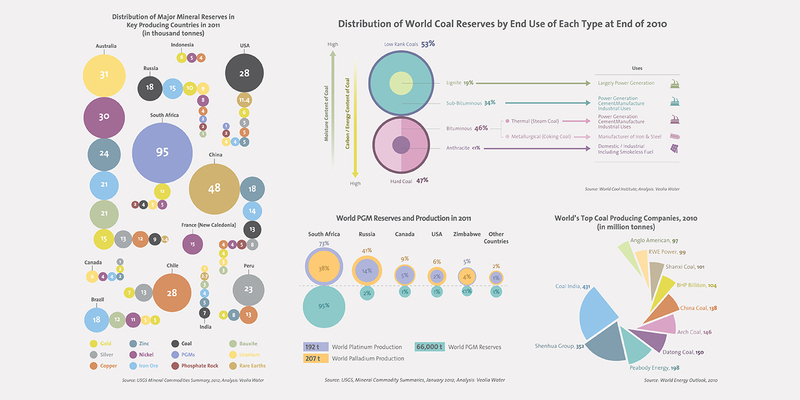 Often this meant extracting relevant information from several sources and editing it into a single coherent illustrated narrative. 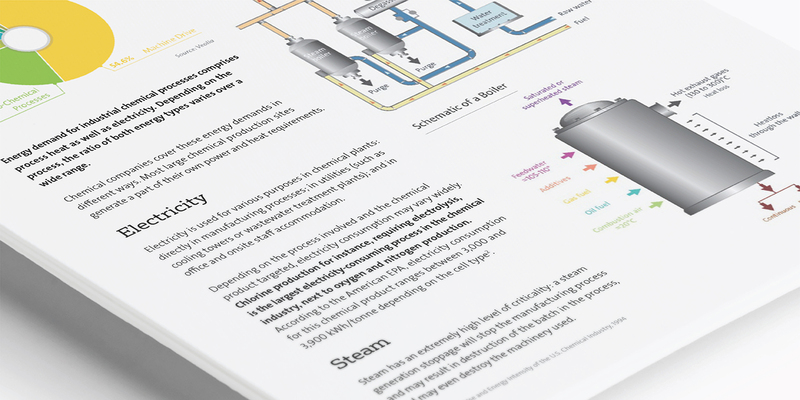 Since the booklets followed in a series of existing Veolia booklets, much of their layout and sequencing was predefined. 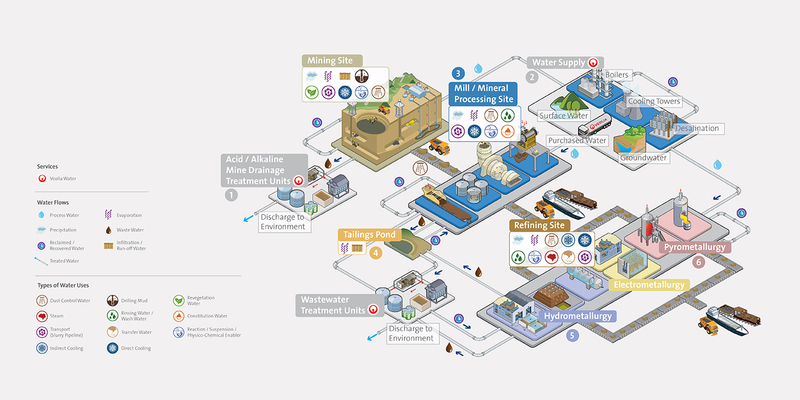 Base Creative worked with Veolia to refine and adjust the contents and arrange them to fit the specific needs of the sectors addressed. 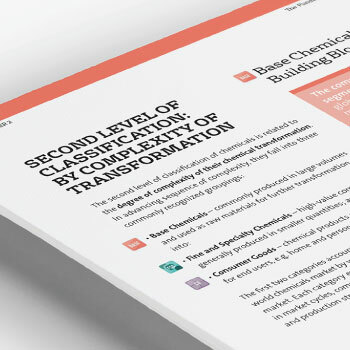 In developing both text and graphics, we had to ensure that the content would stand up to scrutiny by technical experts, while also being comprehensible to executives in the relevant industry with less technical expertise. 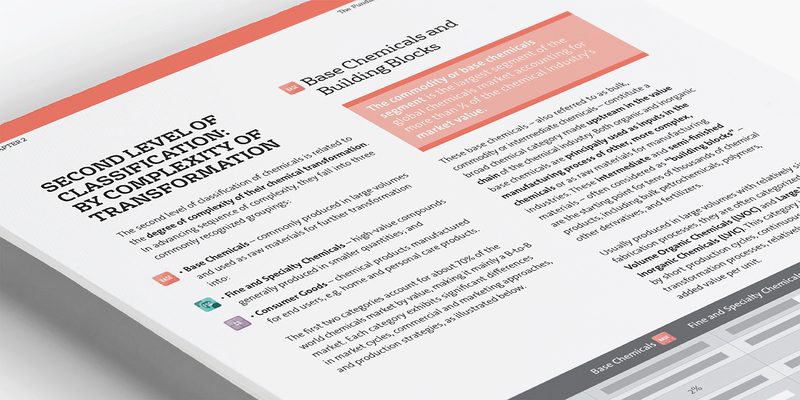 In writing and designing the booklets, it was important to strike the right balance between overt marketing messages and information content. 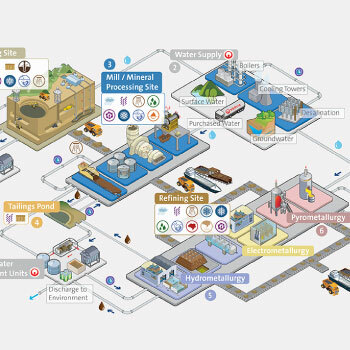 Veolia wanted to avoid a hard sell approach, yet make sure industry executives were made clearly aware of the options available in terms of what services Veolia could provide to them and their benefits, both financial and environmental. 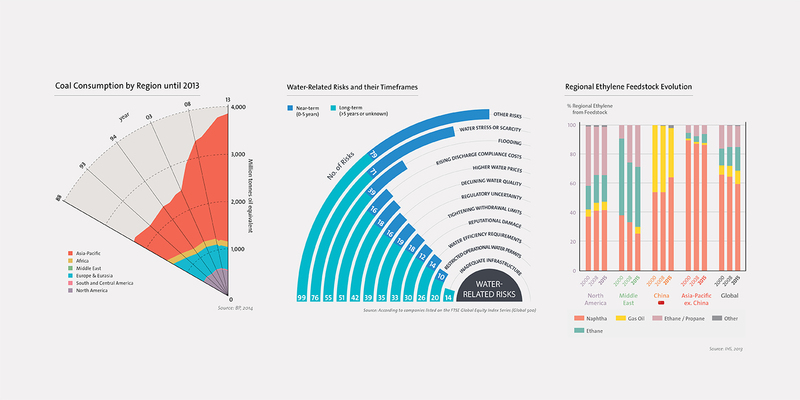 Base Creative’s designers faced two challenges. 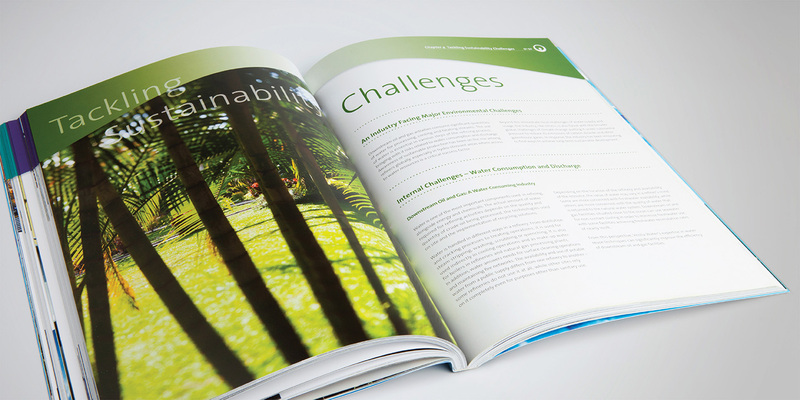 The first was to give each booklet an individual character while making it part of a family of similar publications. 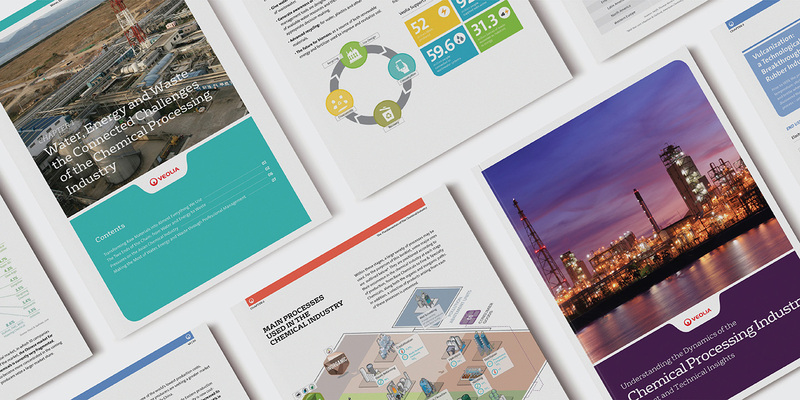 This was achieved by maintaining a standard brand grid and font selection across the series, giving a consistent look and feel, while selecting a separate colour palette and appropriate stock photos for each. 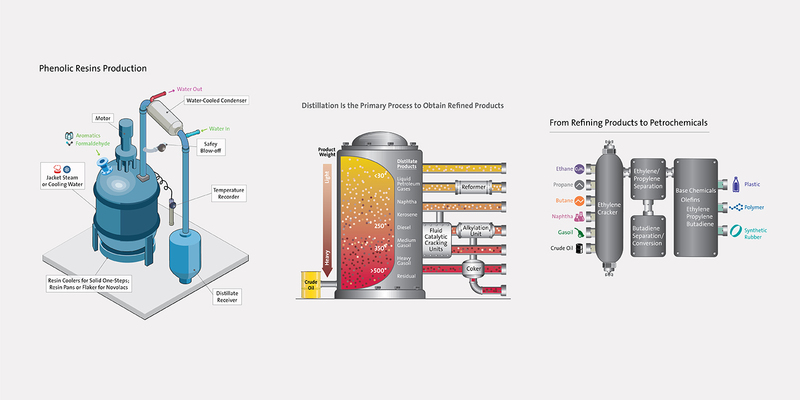 The second challenge was the design of diagrams and flowcharts depicting complex technical processes, sometimes spanning multiple pages. 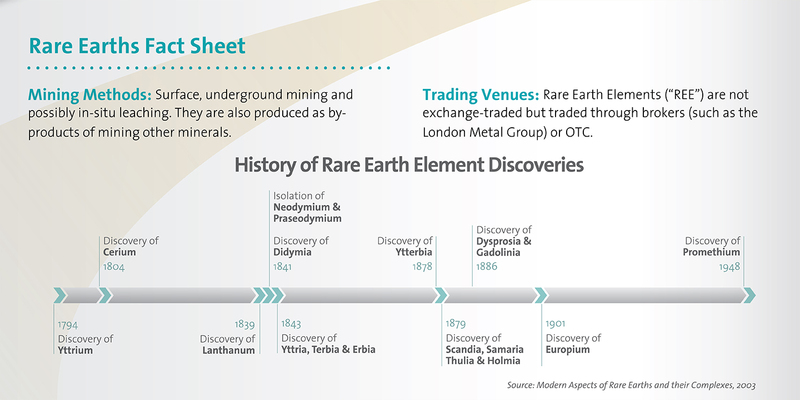 Icons for commonly appearing materials were developed and used in these. 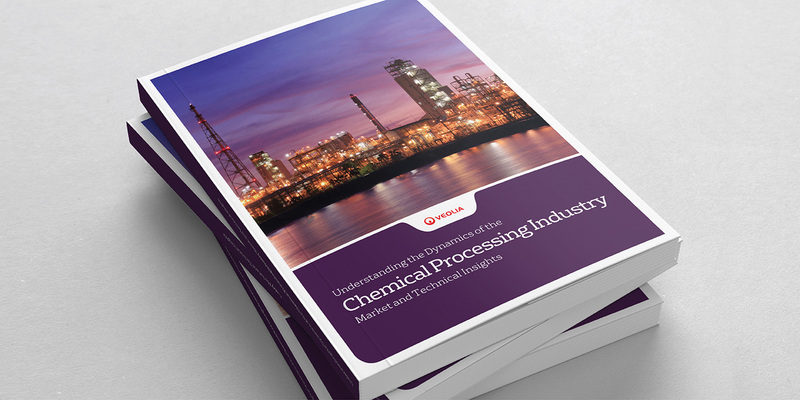 Throughout the design and writing processes, close interaction with Veolia was maintained to ensure accuracy.